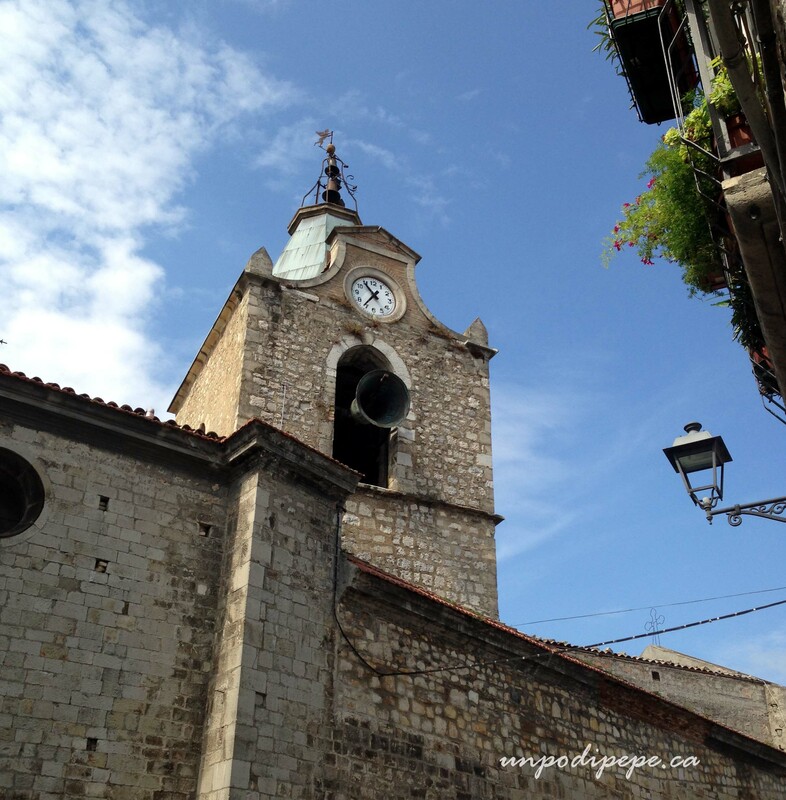 The Dolce Vita Bloggers link-up theme this month is ‘a perfect day in Italy’. What a topic! There are so many possibilities. 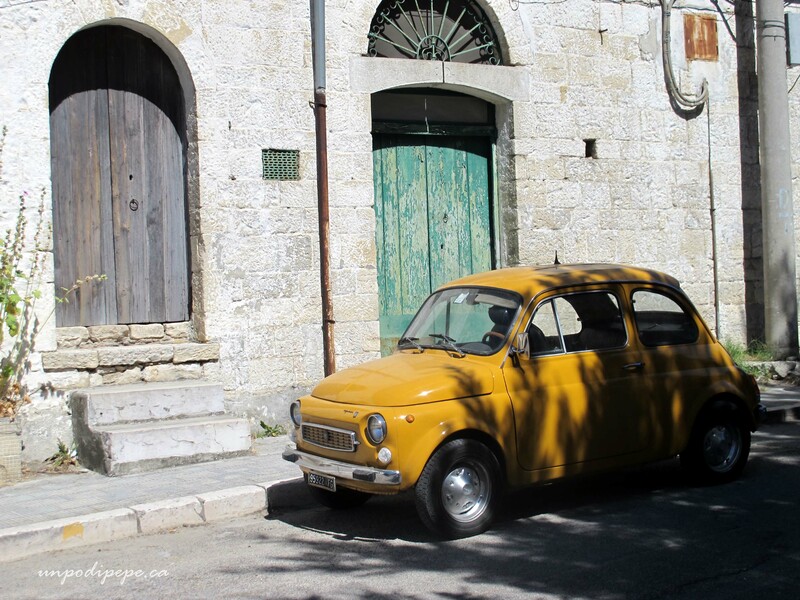 I have written about many wonderfully perfect days, in Roma, Matera, Alberobello, the Val d’Orcia, Polignano a Mare…. How do I narrow down what to write about? 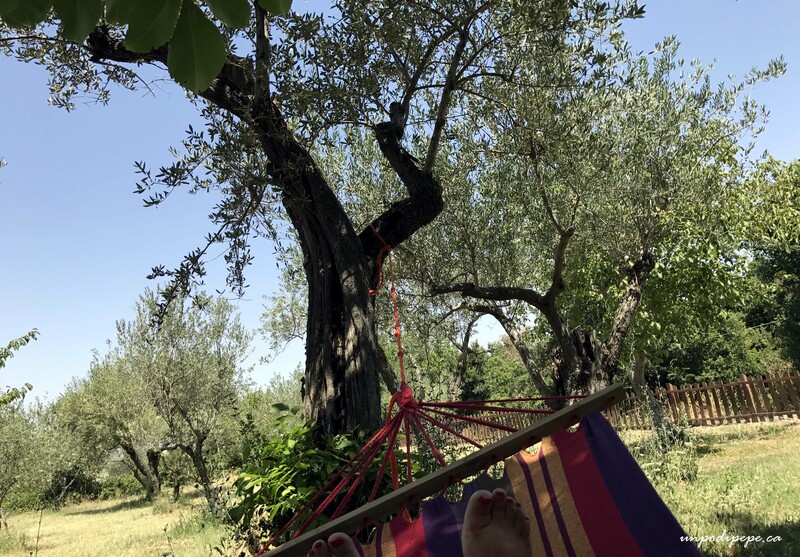 With too much material to choose from, I decided to write about a typical day ‘at home’ in Orsara di Puglia, where most days are laid back, spontaneous and pretty darn perfetto! 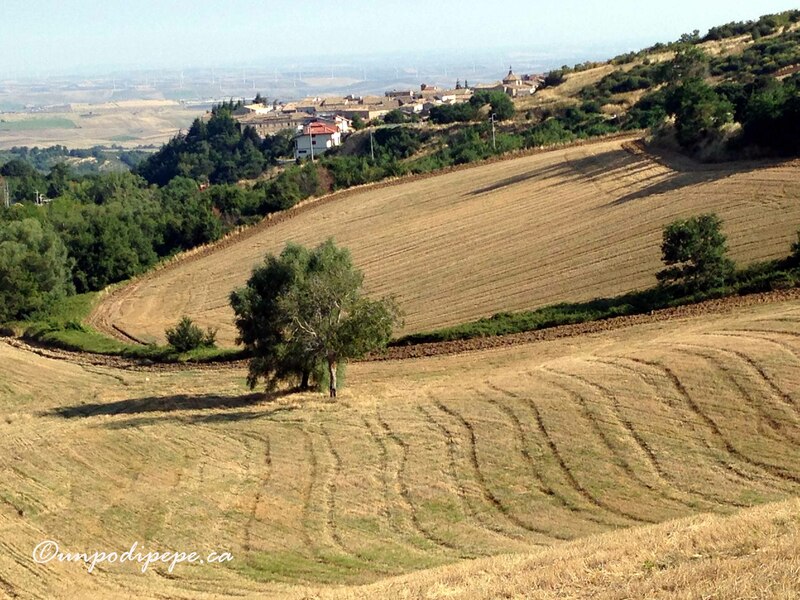 My day usually starts out with a long, early morning passeggiata to la Montagna Spaccata. I call it ‘la Palestra di Madre Natura’ or ‘mother nature’s gym’, an uphill zig-zag walk up the mountain towards Campania with fresh aria di montagna, breathtaking views and encounters with fellow walkers. I usually walk to the border with Campania, when I reach the pale eoliche (PAH•leh Eh•oh•LEH•keh). 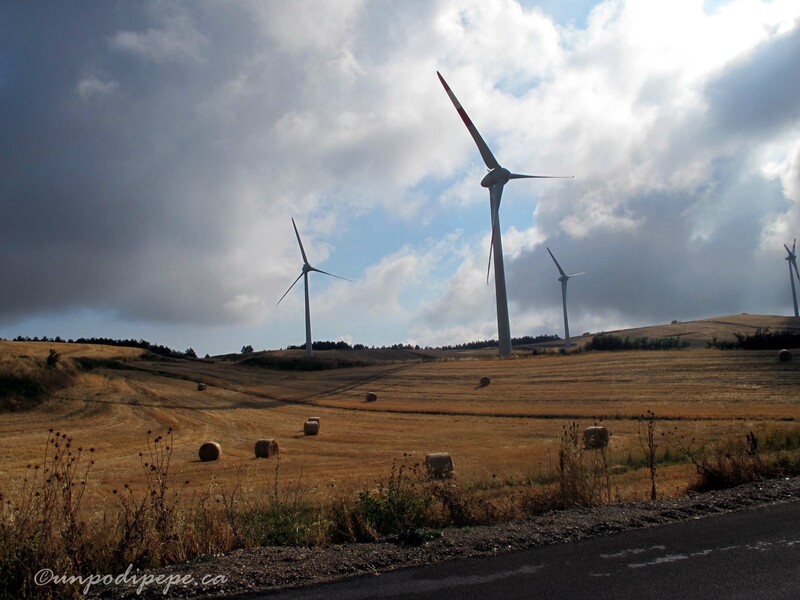 I have also walked all the way to Montaguto, in Campania 6 km away . I am not a ‘morning person’, but in the summer, the walk must be early, otherwise it gets too hot to walk on the way back. Long walks are necessary when you spend weeks eating lots yummy food and still want to fit into your clothes! When I am back from my walk, cleaned up and changed, I often stop at the bar for an espressino, known as caffè marocchino in the rest of italia. I also sneak in a few minutes of wifi. Sometimes I walk to Piano Paradiso and have caffè with Peppe Zullo in the morning or afternoon. Then I usually do servizi-errands, including shopping for food. Refrigerators are small, and most people shop at least every other day for fresh local ingredients. Fresh bread and taralli are purchased at il forno. Generi Alimentari are delis and also carry general grocery items. My favourite items to purchase are fresh mozzarelle and the local specialty, cacioricotta. Once a week, mozzarelle di bufala arrive and I am first in line! Fruit and vegetables are from the fruttivendolo-unless the neighbours give you produce from their orto. There are also travelling fruttivendoli, selling out of small trucks. Il fruttivendolo barely fits in Via Regina Margherita! I celebrate when fiori di zucca are available! Another local specialty is Tuccanese, vino made from a local native grape. As in most non-touristy towns in Italia, shops close at 1pm for la pausa pranzo and reopen at 5pm, until 8pm. 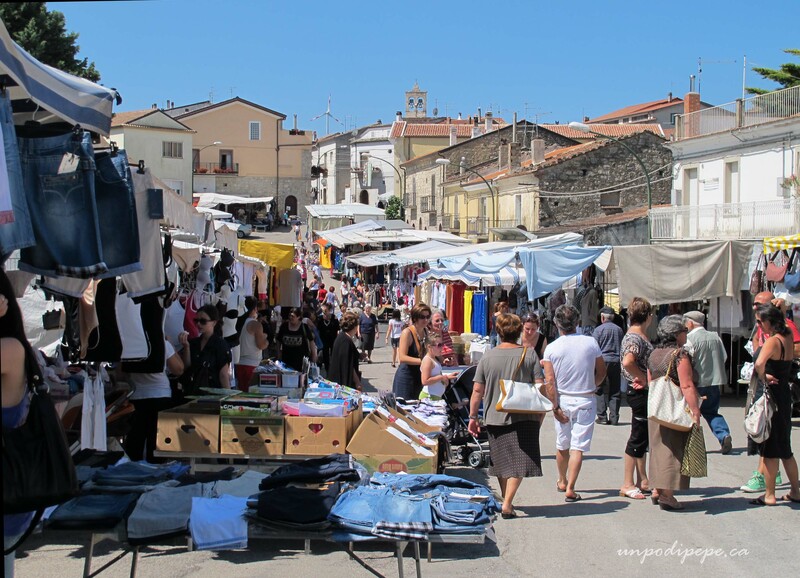 Giovedi mattina-Thursday morning is the mercato in Orsara. 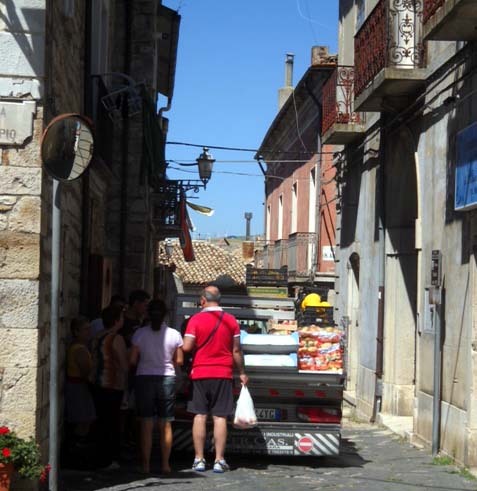 The street is lined with bancarelle selling everything from fresh formaggi to produce, linens, shoes and household stuff. A great spot to run into everyone in town, including visitors. Il postino likes giovedi, as he can hand everyone their mail on their way to the mercato. The rest of the morning is usually spent helping to prepare pranzo, the main meal of the day, at 1pm. In the summer, my parents are also in Orsara, sometimes my sister and her family too, so there is lots of food preparation going on, using ultra fresh local ingredients. ’ la luce … la gloriosa e magnifica luce del sole di metà pomeriggio è incredibile. Vorrei dipingere quella luce! 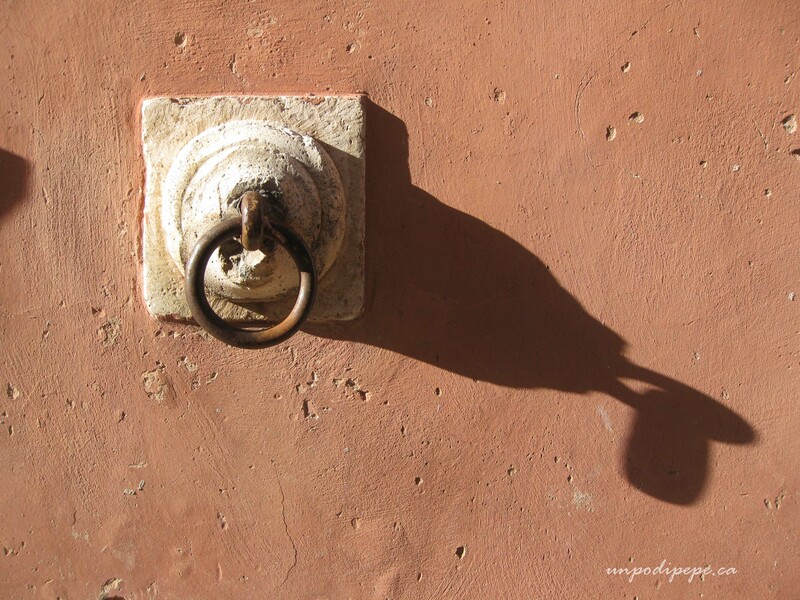 / the light….the glorious and magnificent light of the mid-afternoon sun is incredible. I want to paint that light!’ (Cristina, October 2017). At 5pm shops and bars reopen and the streets come to life again. I visit friends and relatives, meet for gelato, shop, or find somewhere to sit with my sketchbook. 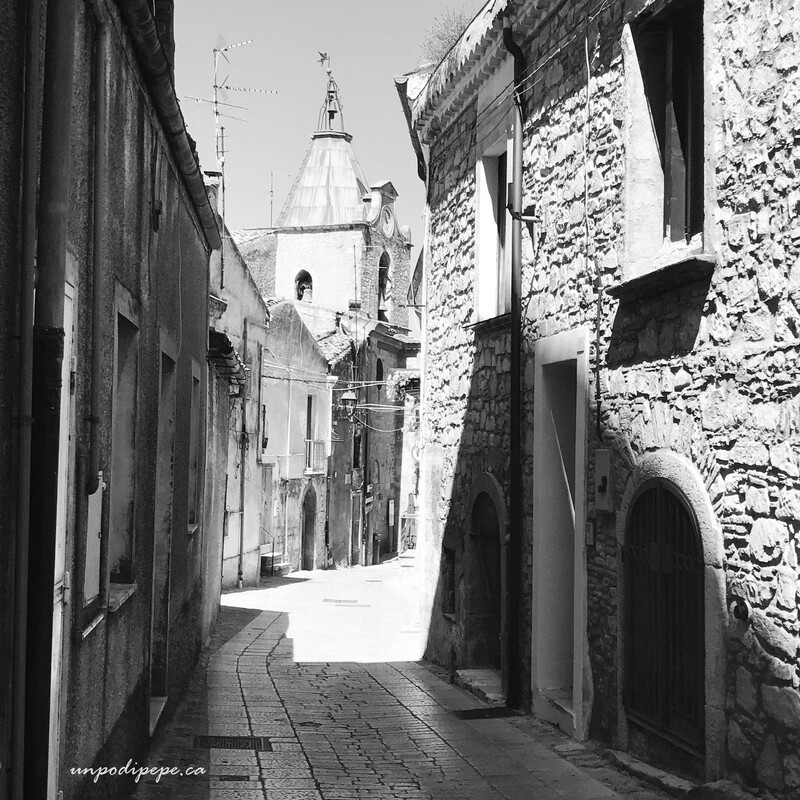 I also love to walk to La Cupa, the olive grove that used to belong to my Nonno to pick plums, figs and pears. I usually need to stop at one of the bars to use wifi, although as I explained in Chiuso per Ferie in August, this can end up seeming quite antisocial. Sundays, I sleep in, unless going on a daytrip. I love to have cappuccino and a cornetto crema di pistacchio before 11:00 Mass in the ancient Grotta di San Michele Arcangelo. At least one Sunday, I look forward to a barbecue at La Cupa with my extended family. 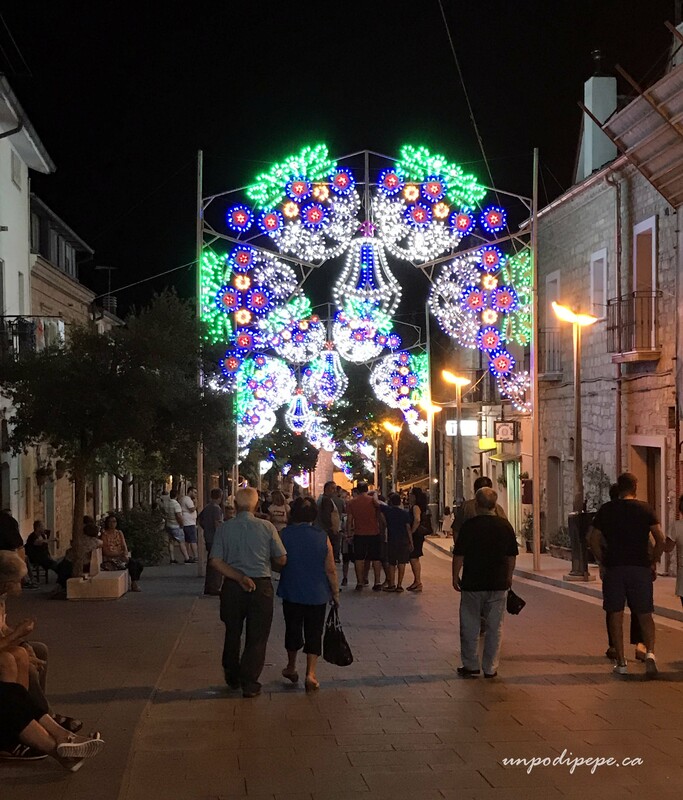 After 9pm, it is time for the evening passeggiata, walking up and down ‘il Corso’ and socializing. There are pizzerie and bars with outdoor seating along il Corso. On summer evenings, there are often concerts or special events. My favourite part of the passeggiata is walking all the way to the top of the Corso, past where the houses stop, then the streetlights stop. It is buio (BOO•yoh) -dark, you can hear grille (GREEL•leh)-crickets, and see the stars. On clear, windless nights, lucciole (looch•CHEEOH•leh)-fireflies make the night absolutely magical. There is usually a stop for a drink at an outdoor table before ending up back at home…never before midnight though! Buonanotte, Cristina. 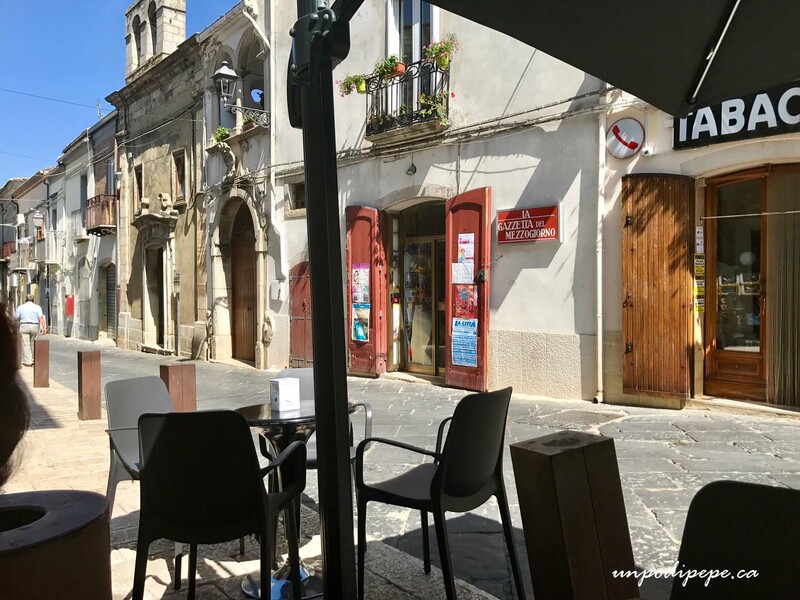 Click on these links to read previous posts about wonderfully perfect days spent in… Alberobello, the Isole Tremiti, Matera, Polignano a Mare, Paestum, Roma, Trani and the Val d’Orcia. 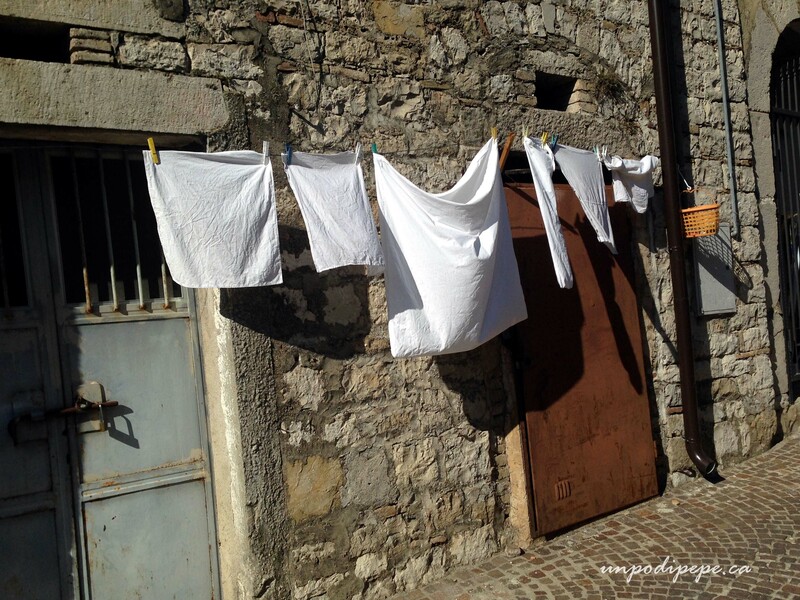 This post is written as part of the monthly #dolcevitabloggers linkup, hosted by Jasmine of Questa Dolce Vita, Kelly of Italian at Heart and Kristie of Mamma Prada the 7th -14th of every month. Wow, wonderful – the words, pictures and thoughts. 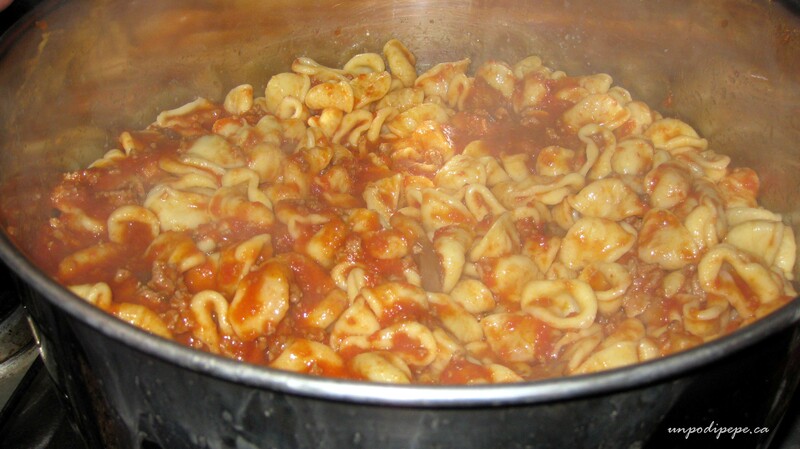 I could dive into that pot of orecchiette. I hope you can visit this year Tony. I am waiting for you to go! Cia Cristina! Sono contenta di trovare il tuo blog! Non sono ancora stata in Puglia, ma voglio andarci!!! La palestra di madre natura è la mia preferita! Thank you for joining us for #dolcevitabloggers, and I hope you will again in the future! Grazie Susanne. You will have to come and share a day with me-for real someday! Spero che tu stai bene. Un abbraccio da India. Grazie Ishita! Mi ha sempre piaciuto fare le foto📷❤️! Wow, you make me want to go now. I miss visiting Italy that if for sure. So many places I would like to visit, like Loretto and Pompeii and Siciliy, etc. Any day really is good day in Italy when you have beautiful weather and delicious food and wine. Too many places….not enough time! You are overdue for a visit though Patty! Che bella giornata! Tanti saluti! Ciao Cristina! I’m so pleased to have found your blog. This post is so beautifully written, I feel like I’m walking with you! I love taralli, they are too tempting! This story makes me think of staying with my Father-in-law as his house is right next to the church. The bells ring every 15 mins. It used to drive me mad and I couldn’t sleep but now I’m so used to it! I too love the sounds of the grille. Roll on summer! I get a sense of serenity about the town just from reading your post. Sounds divino. It is Lisa! Divino e un po’ di relax! This truly sounds like a wonderful day! Yay for Fiori di Zucca, we used to get so excited growing up when Nanna made them for us. We haven’t had them for so long!!! 😦 Lovely post! You just described a perfect life! Lucky you…loved your photos too. Love the walks and all the social aspects. Nice job! I really enjoyed this post! It was written so wonderfully and the pictures just help in capturing this magical day! Your morning walk sounds like heaven! Wow! What gorgeous countryside not to mention the food… A walk in those hills sounds more fun than any trip to the gym! Yes indeed that was one perfect day! 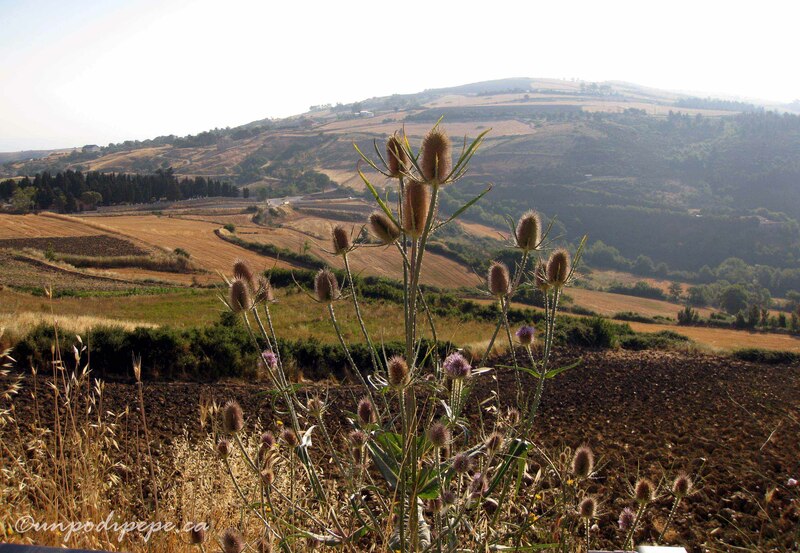 I am thrilled to say I am responding to your post while staring out the window at the glorious Irpinian countryside with Basilicata off in the distance. What a beautiful post…reminds me of my days in my parents hometown, and makes me long to go back!